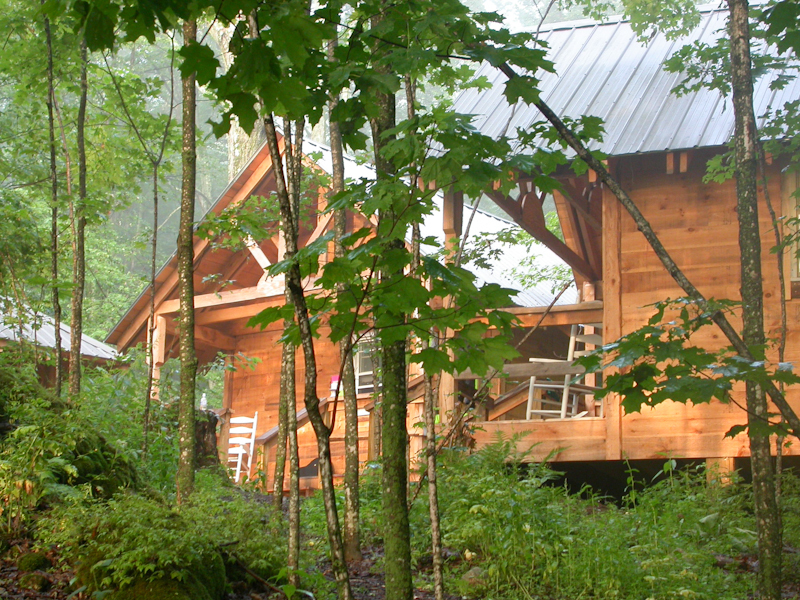 This summer marks the inaugural year for Common Ground Center’s modern and sustainable new Eco-Lodge. Common Ground Center is a family camp and retreat center home to Camp Common Ground, a unique family vacation destination running in four weeklong sessions this August. With the addition of the new Eco-Lodge, Camp Common Ground is appealing to more families traveling with three generations in tow. 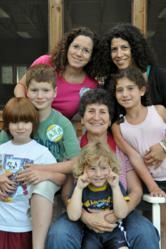 Eleanor Horowitz has been joining her daughters, Susan Levine and Michelle Roth, and their families at Camp Common Ground since her grandchildren were infants. The best part of being together for me is getting to see my grandchildren in a relaxed setting. This summer marks the inaugural year for Common Ground Center’s modern and sustainable new Eco-Lodge. Common Ground Center is a family camp and retreat center home to Camp Common Ground, a unique family vacation destination running in four weeklong sessions this August. Common Ground Center’s beautiful facility is nestled in a valley between the Hogback and Green Mountains on a former horse farm. Programs take place in converted Vermont barns and campers sleep in cozy, handcrafted cabins complete with mattresses, beds, and window screens, but lacking electricity and indoor plumbing (there’s a central bathhouse). Although many campers who attend Camp Common Ground relish the opportunity to dust off their camping gear and live a little closer to nature for a week each summer, Common Ground recognizes that this can be challenging for grandparents joining camper families on vacation. Common Ground makes a point to celebrate diversity at their programs, but realized that without certain accommodation options, diversity of age was harder to achieve. 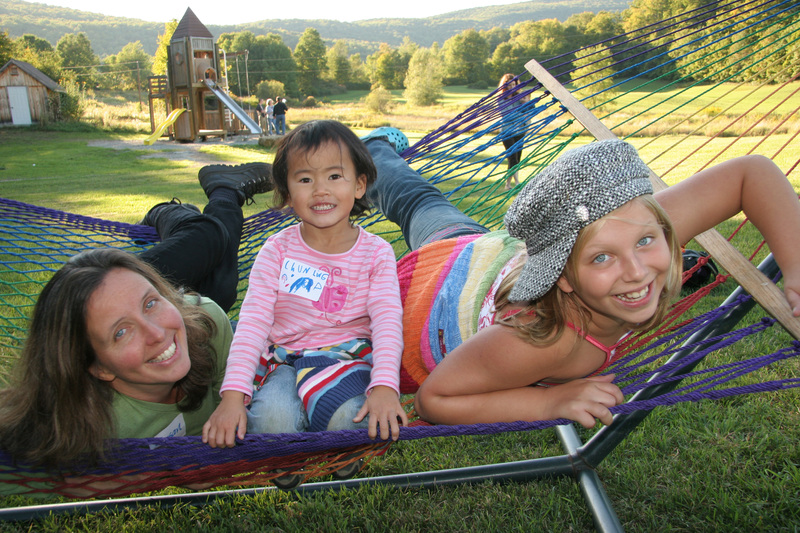 There are many returning camper families that have already been coming to camp with three generations in tow who have shown other campers and Common Ground what a wonderful vacation option family camp can be for the whole family (i.e. extended family, grandchildren, parents, and grandparents). Camp Common Ground offers the freedom and the flexibility to spend time together or engage more deeply in separate activities. While Michelle Roth, Susan Levine, and their mother Eleanor Horowitz all live quite close together in New York City, the Camp Common Ground experience is still one that they all look forward to. “The best part of being together for me is getting to see my grandchildren in a relaxed setting,” says Eleanor. “When I pick them up at school or something like that it can be stressful,” she adds. “This way I get to spend time with my grandchildren and they totally relax. The kids are free to be kids and I love seeing that." When Cara Feldman Hunt, her mother, and her sister first came across Camp Common Ground, it appealed to this three generational family for many of the same reasons it appeals to all families. “The challenging part of most vacations is figuring out what to do each day, which can be tricky since we all have different needs. Camp Common Ground is a great place for us since it has something for everyone.” Common Ground’s daily activity options aren’t just attractive to parents traveling with their kids; the activities are actually accessible to all ages and include hiking, yoga, guitar, archery, watercolors, improv, glass bead making, non-violent communication, and more. Many campers are hesitant when inviting another generation to join their crew at Camp Common Ground because of the more rustic accommodation options, but with the addition of the Eco-Lodge, traveling with older generations is easier and more attractive than ever. 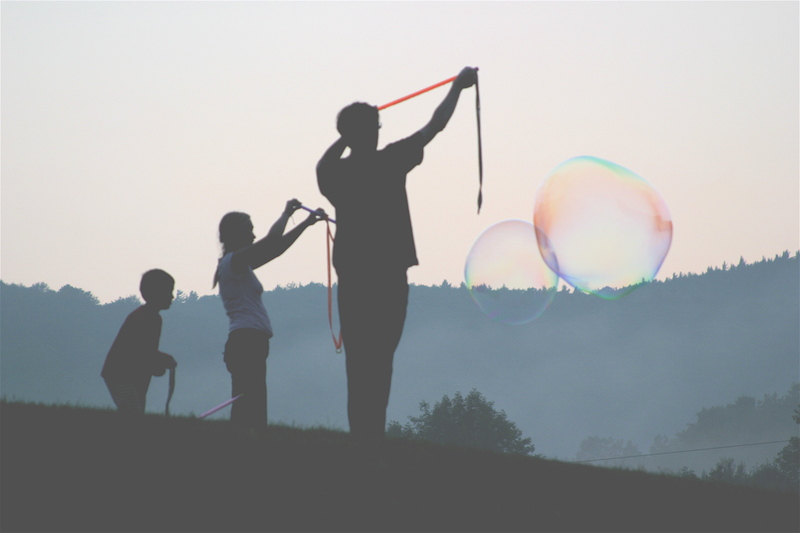 Adult children, grandparents, and children can all have their own fun while creating lasting memories with each other. Each room in the new Eco-Lodge at Common Ground Center has electricity and a private restroom, making the camp experience possible for a wider range of ages.